Illumina, the world’s largest DNA sequencing company, has formed an offshoot company called Grail that will work to develop blood tests that can detect many types of cancer before symptoms arise. The tests will cost $1,000 or less. Catching cancer early is vital. Certain tumors, when caught early, can be cured with surgery or radiation. More often than not, the earlier cancer is caught, the better chance there is to get the patient into remission. Considering this, the ability to test for cancer at a routine physical, just by drawing blood, is revolutionary. And that’s exactly what Grail is pursuing. 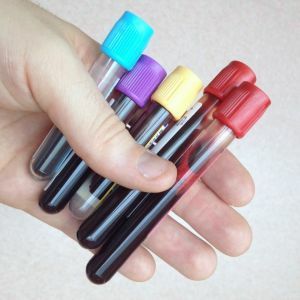 The test is referred to as a “liquid biopsy,” almost like a simple blood test. This technique uses high-speed DNA sequencing machines to scour a person’s blood for fragments of DNA released by cancer cells. If DNA with cancer-causing mutations is present, it often indicates a tumor is already forming, even if it’s too small to cause symptoms or be seen on an imaging machine. Currently, the only early-detection liquid biopsy test on the market in the U.S. is from Pathway Genomics, and it costs $699. This might sound like a steal, but since it remains unclear how well these types of tests work, that company received a warning letter from the U.S. Food and Drug Administration questioning its marketing claims. To avoid the issues Pathway Genomics has encountered, and prove early detection is possible, Grail will spend millions on organizing clinical trials involving as many as 30,000 people. The results will show whether the tests are able to catch cancer earlier than established methods. The project will be about three times as large as as Genomics England, a national effort to study cancer and disease in the U.K.
Grail has already raised more than $100 million from Illumina as well as Bill Gates, Jeff Bezos’s venture fund (Bezos Expeditions), and Arch Venture Partners. 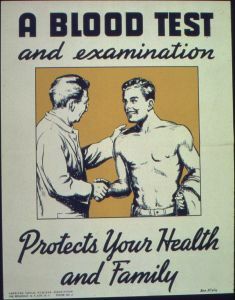 If successful, the blood tests should reach the market by 2019. They will be offered through doctors’ offices or possibly a network of testing centers.